Primers are a divisive makeup product. Some argue that it does nothing, others live for it. If you fall under the latter, we highly recommend this primer. It mattifies shine all day, but it won't clog pores or cause breakouts. 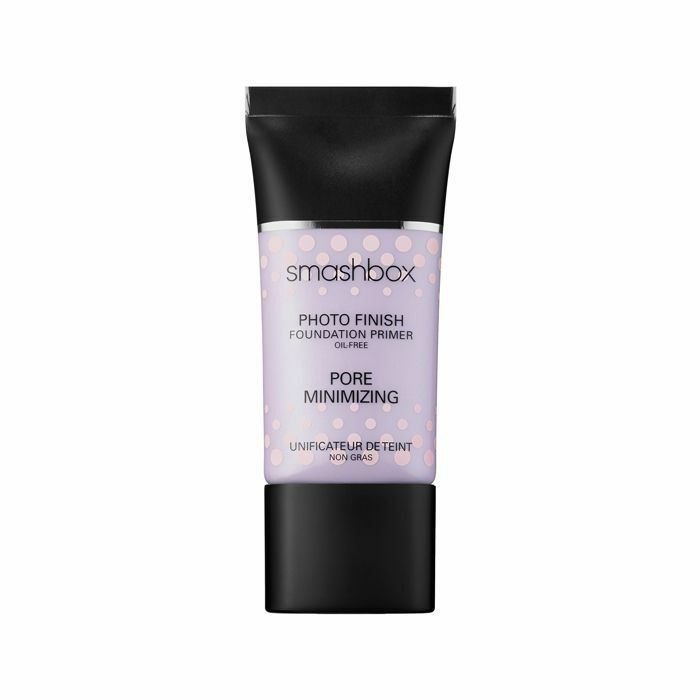 It also blurs the appearance of pores to leave a nice soft finish. Foundation can be too heavy for those with oily, acne-prone skin to wear every day. This tinted moisturizer not only covers up blemishes, but it treats it as well. It is made with salicylic acid to reduce the redness and blemish size after every use. To control the shine that plagues those with oily skin, this foundation contains a formula that has mirco-powders that makes sure you look matte and it blurs the appearance of pores. It blends in really well and is non-comedogenic. This foundation is a miracle worker. It has a liquid-to-powder formula that is made of cashmere kaolinite clay, that absorbs any excess oil without leaving the skin dry. It also hides the appearance of acne, scars, and shine. Made with a pore-tightening formula, this BB cream not only gives amazing coverage but it treats acne and controls excessive sebum with the herbal extracts it contains. A good concealer for acne needs to hit that perfect balance between providing natural-looking coverage and not aggravating the blemish it is concealing. This concealer has a creamy texture that blends into the skin really well. It is made with aloe to hydrate the skin, clay minerals to absorb excess oil and shine, and tea tree oil to promote clearer skin. This concealer contains a mineral complex that absorbs any excess oil so that you don't look shiny. It also is made of aloe and chamomile to soothe the skin and reduce any redness. Next up, read about the drugstore tinted moisturizers you need right now. My Acne Shouldn't Be Described As Something I Need to "Fix"